Growing Growers ICT has a unique opportunity to recruit and equip a new generation of growers, which will significantly impact our local food economy. Won’t you be involved in this exciting movement? The application deadline to serve as a host farm has passed, but if you are still interested in the program, don’t hesitate to apply anyway. We are looking to build our base of host farms and your commitment will go a long way in helping us do so. Learn more about being a host farm. If you know someone who wants to be an apprentice, send them to our website! The application deadline is fast approaching, but since we have an abundance of host farms, we are willing to work with applications arriving after March 4. Learn more about being an apprentice. The workshop series will be confirmed soon, so keep a look out for dates and topics. Everybody is welcome to attend the workshop series, regardless of participation in the program, although there is a small fee for the general public ($15 for half day and evening workshops; $30 for full day workshops, including lunch). Workshops will be a great way to connect with other farmers and apprentices, visit other local farms to see the diversity of farming methods and models in our community, and to refresh yourself on technical and business information. We would love to have you! 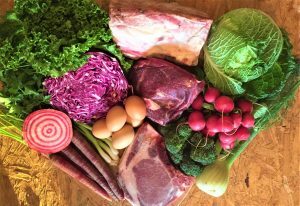 Early spring CSA bundle. Photo courtesy of Strong Roots Healthy Farming. CSA is NOT right for every person or every family. Here are some things you should consider before signing up for a CSA share. Do you like to EAT vegetables? If you and your family do not routinely eat a lot of vegetables, getting a big box of vegetables every week might result in a lot of waste. If you want to create a new habit of eating fresh veggies, maybe try a half share or split your share with someone else. Do you like to / know how to COOK fresh vegetables? And I mean more than potatoes, tomatoes, and cucumbers. Do you know what to do with a turnip? Kale? Chard? Kohlrabi?Beets? If you don’t already have a good grasp of cooking with fresh vegetables, you may want to make plans to boost your skills before signing up for a box. I find that even though I know how to cook with almost any vegetable, it sometimes is a challenge to find time to deal with a pile of chard or a bag of beets. Of course, some people like their CSA precisely because it DOES provide new / unique produce items that you can’t find anywhere else. Are you willing to adjust your eating patterns depending on the season? Joining a CSA is going to make you intimately familiar with what is in season and when. Granted, you can always supplement from the grocery store, but it can be hard to want to spend more money on vegetables when your refrigerator is full of fresh CSA produce. Can you pay for your vegetables up front? Most shares are between $200 and $500, depending on the farm, the number of weeks, and what is included. Many farms may allow you to make payments, but you are still paying for those groceries weeks or months before you receive them. Can you pick up your box every week during the CSA season? Each CSA has a delivery / drop-off schedule, and if the schedule of a given farm doesn’t work for you, it probably isn’t a good option. Most CSAs consider that if you don’t pick up your box, you just don’t get it and are out the money. Some CSAs will go for 12 weeks, some for 20 weeks, some for 25 weeks or more. The CSA season and schedule will impact what you get and if it works for you. How big is each share? What types of produce are included? Again, each CSA is different. Talk to the farmer before making a decision if it is unclear of how much produce to expect. They can also help you determine if your family might want a half share, a double share, or a regular size share. Many CSAs will also pass along unexpected bounty AND unexpected crop failures. The farm may be planning to provide you 5-10 types of vegetables every week, but the farm is weather dependent. You could end up with a week where all you get are a bunch of tomatoes, cucumbers, and mint rather than something more diverse. 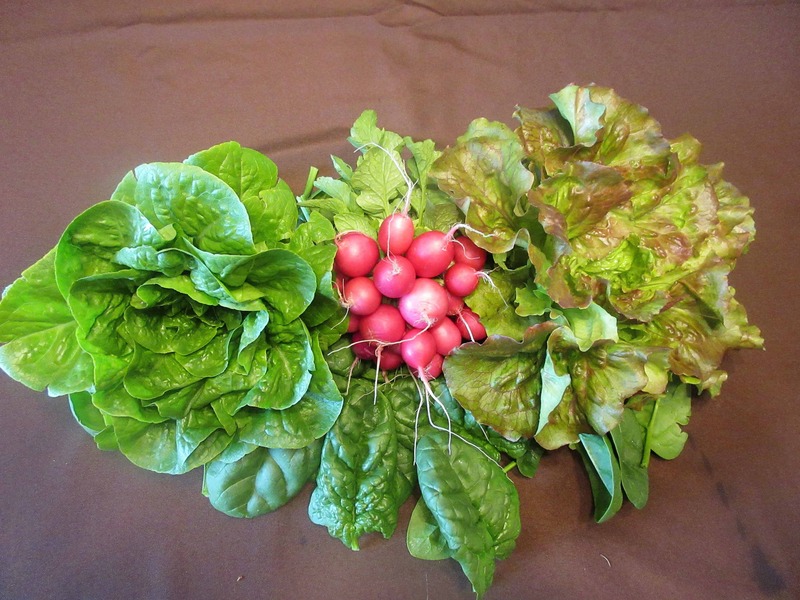 Also, some CSAs may be heavier in providing leafy greens, others may provide more root crops. You should think about what you would prefer. You may have realized that joining a CSA may not be a great fit for you or your family right now…and that’s okay! 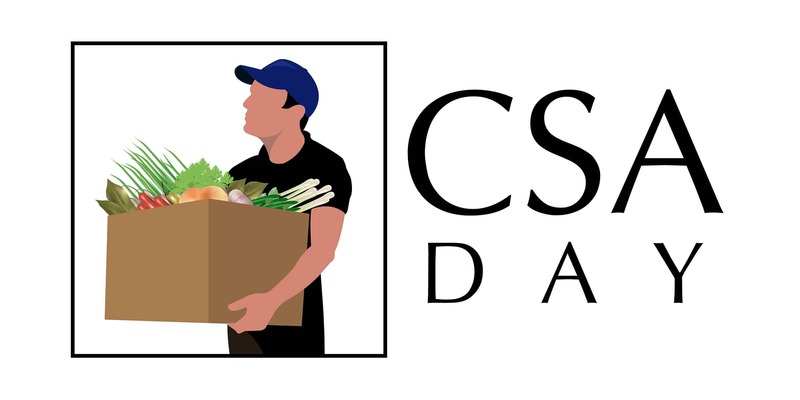 You can share the information about our local CSAs with your friends or family members that might be interested. You can still support local farmers buy purchasing their products from other venues, including our great local farmers’ markets. We are squarely in the middle of the “spring” (read: summer) beet season here in south central Kansas. Beets are typically planted in the early spring for harvest in early to mid-summer. Then a second crop is planted in late July for fall harvest. I never liked beets growing up. We boiled them or boiled them with the saucy stuff. Ugh. 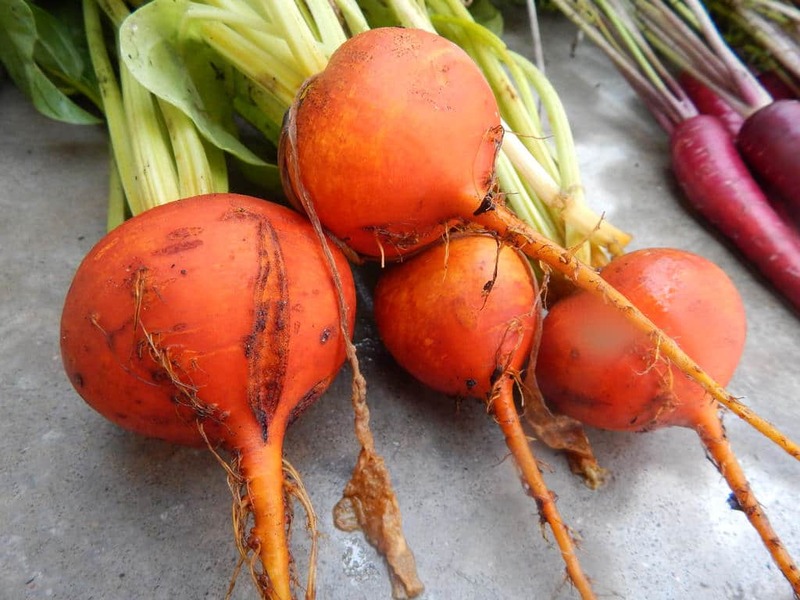 Then I grew up and was introduced to roasted baby beets mixed with other root veggies and seasoning. Yum. And gold and white and candy stripe beets. Yum. And then I got crazy and went down the – beet smoothie, beet ice cream, borscht, beet pickles – happy path to beet-land. And then kids came along. And life got crazy. And beets…well, here’s the dirty secret about beets. As delightful as they are once you find a way you like to eat them, almost any recipe or preparation other than “cook and eat” requires the first step of roasting or steam-boiling or par-roasting or some other cooking process. Because beets are hard and crunchy, and to do fun things with them, you have to cook them first. And it’s not fast – it can take 1+ hours to roast some beets to the fork-tender stage. So not only do you have to find time for your beet recipe, you also have to find time to cook the beets first and then make your recipe. Beets didn’t fit into my schedule, as much as I wanted them to. Then this past fall, we added an electric pressure cooker to our stash of kitchen appliances. And a few weeks ago, I was looking at the beautiful piles of beets at the farmers’ market, and realized…I can do those in the pressure cooker. Ironically, the pressure cooker isn’t much different from the boiling that I scorned in my childhood. But it does get the beets cooked and ready for the next step faster, and fast is more important than the beautiful flavor profiles of roasting. Here’s the quick directions: trim, halve or quarter the beets (depending on the size), and put them in a pressure cooker with one cup of water. Seal and cook on high pressure for 20 minutes. Quick release the pressure. Then you can let the beets cool a bit and easily slip the peels off. Super easy, relatively fast, no hot oven during the summer. Once your beets are cooked, the sky is the limit for beet recipes. The first thing I tried? Refrigerator beet pickles. 1. Slice the cooked beets. 3. Place vinegar and water in a saucepan. Add one cinnamon stick, a pinch of salt, 1/3 cup of sugar, and a teaspoon of whole cloves or whole allspice. I didn’t have any allspice and only a single lonely clove, so I substituted a whole star anise pod. 4. Bring the mixture to a slight boil and make sure the sugar is fully dissolved. 5. 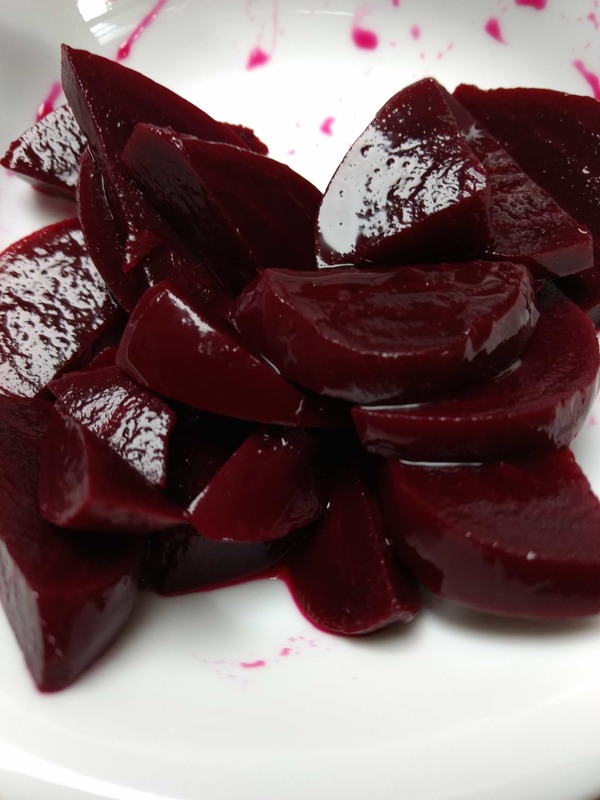 Pour over the sliced beets and refrigerate for 24-48 hours for flavors to develop. The result? Yummy home pickled beets that took a little time, but a lot less time than they could have.